Haha! I am right there with you, it’s like an obsession both with babies and toddlers. 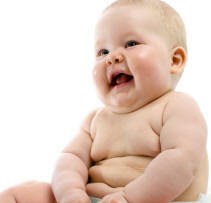 Whenever I see a toddler with a fat, chubby belly, omg I just want to SMOOSH them! OMG I can’t believe I found this page! You are going to love our soon-to-arrive baby. 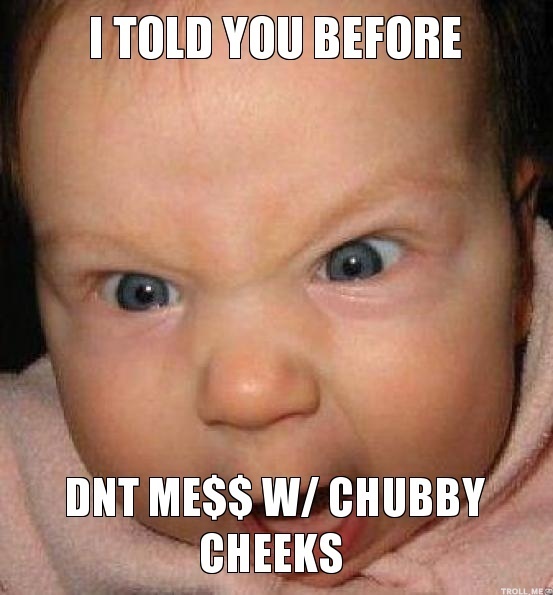 The last ultrasound showed some chubby cheeks. YUMNESS!!!! So excited for you but don’t ever give me your address! LOL. AHH my coworker also loves chubby kids, and pointed one out to me as an example and it made me CRINGE!! The girl was SO OVERWEIGHT it hurt my lungs just watching her try to breath. I used to LOVE fat animals..but now..that just kinda makes me sad for them haha. So adorable! Thank goodness you were there for Oscar! He sensed you loved chubby kids and would get him back to his family, safe and sound, despite the temptation to keep him all to yourself. (ha ha)! Aw! Poor Oscar! I become incredibly panicked if I see a lost child, I can’t handle it. I feel like I creepily stare at children on the regular, just to make sure they aren’t lost. I’m probably on a kidnapper watch list. I stare at them all the time while drooling… just the chubby ones. Love the older brother’s comment. Wait, was that you Shelley at Target? I knew she looked familiar. Your older son was not very nice to Oscar. Humph! I was ready to punch Shelley and big brother. Don’t be picking on MY Oscar! Oh Oscar! He and I share our biggest fears in life — that people went shopping and eating without us. Ha,ha! You got that right! I’d be crying too. The poor little chubster. Awh that is such a cute story. You’re a hero! I was always getting lost, I remember that feeling we’ll. I love helping kids who are lost but especially if they are CHUBBY! I remember getting into an elevator thinking my family was right behind me but the doors closed and I was all alone not knowing what to do or where I would end up. I cried and cried. When the doors opened I was in the lobby. Not a lot of people came running to my rescue – probably because I wasn’t chubby! Hahaha! Now that’s a new one! Those are some BIG babies! Mine were off the charts the other way! “Toddler lard.” You crack me up, Maria! 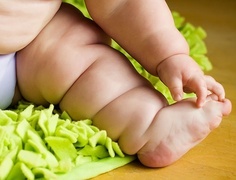 I feel the same way, the more rolls the better, especially when it comes to toddlers. I hope the next time Oscar’s mother is irresponsible, he’s lucky enough to have another Maria find him. Effing adorable! I can just see the little guy. My GS was a chubby baby, and boy he was the cutest thing with bright blue doll eyes. Unfortunately, he is now a chubby 10 year old. Afraid it’s going to be an issue all his life. He’s an amazingly active kid for the most part. But not like we were at 10, running around the neighborhood from after school til dark. Kids don’t do that anymore. Sad. It isn’t wrong. You totally did the right thing for Oscar. 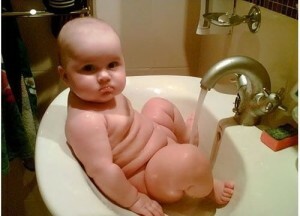 My wife always wanted her a chubby lil baby, but it wasn’t meant to be. Our three were all skinny minnies. I’m glad they didn’t go get food without Oscar, he was already sad enough. Lol. I think Oscar was more upset about the possibility of missing out on the food than being lost. I would have fed him once I kidnapped him! Once knew a guy who lost it every time he saw a midget. Like “had to be restrained from picking them up” lost it. There must be some ‘finders/keepers’ law that meant you were close to getting to keep oscar! I have a soft spot for lost kids in stores. My was always wandering off to do something. Him totally calm, me in a panic. So I relate to the sad little ones. Maybe you could have hid him, hit the time limit and got to keep him! There should be, Kerry! I would have kept him and held him tight 24/7. I wanted to punch his older non-chubby brother for calling Oscar stupid!